Prior DUI Conviction - Within the Last Seven Years. Note that the results of the breath, blood or urine test will be a factor in working out the charges that will be brought against you and the possible sentences. If you were driving with a blood-alcohol level of over .08%, then there has been a DUI offense. Please remember, yet, that the DUI laws relate to the blood-alcohol level at the time you were driving, and not the time you had the test. This is a important difference that may be used in your favor. It is also important to understand that the tests - particularly the breath tests - are unreliable to sum up susceptible to attack by an experienced California DUI lawyer. 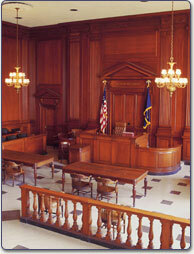 Experienced DUI lawyers know which arguments work and which ones don't. If your DUI attorney can get your charge cut from a felony DUI to a misdemeanor DUI, it is considered a major win. In fact, he may be able to get your case dismissed, which is the final goal. He can also help you with your California DMV hearing issues. If you have any questions or would like to speak directly with an experienced DUI attorney regarding your charge of driving under the influence, please call the firm's San Francisco, California office at 415-552-6000, or toll-free at 800-901-1888 for a FREE CONSULTATION. Mr. Tayac can be reached 24 hours a day, seven days a week. If you prefer, you may e-mail the firm, or fill out the form on the Contact Info & Directions or Free Case Evaluation pages of this website, and a knowledgeable California DUI lawyer will be in touch with you as soon as possible. Fill out the simple form below and we will get back to you with answers to your questions.